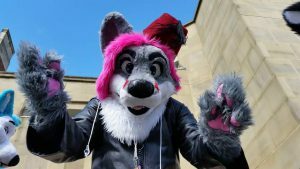 Wolfie has been running the Leeds Meets for well over a decade and the stress has clearly taken its toll! 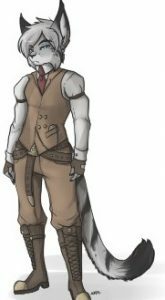 One of the old guard in the Fandom, he is a self-confessed petrol head with a love of all things tech, while he spends most of his evenings rocking out to metal and painting little men. At Meets he rarely stays in one spot, bouncing around the venue trying to meet everyone, while he is the person to see if you have any suggestions or problems. 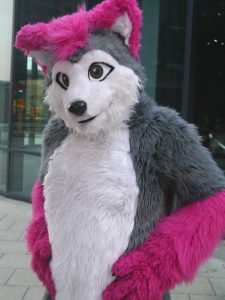 A bouncy pink sparkly ball of fun, Lupestripe is a puppy who has been helping run the Leeds Meet since October 2007. A journalist by day and a heavy metal fan by night, he can frequently be found propping up the bar and sampling yet another craft beer. General dogsbody and pupper extraordinaire, Lupe’s addiction to Twitter sees him on the cutting edge of promotion, be that for the Meet or more often himself. Sometimes in suit, sometimes aloof, be sure to say hi if you can keep him still. Puppy. Full-time snep, part-time fox! Work that out how you will, but if there’s something to photograph or a magnificent machine being built, Cosmo is probably nearby! 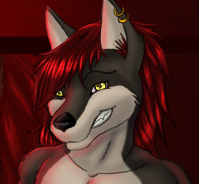 Blue and black and floofy, Dexter is a happy helpful wolf fella, always able to givse the best advice – he is a proud upstanding pillar of society! Don’t be fooled by the smol – Dexter is massive on personality, enthusiasm and boundless energy! 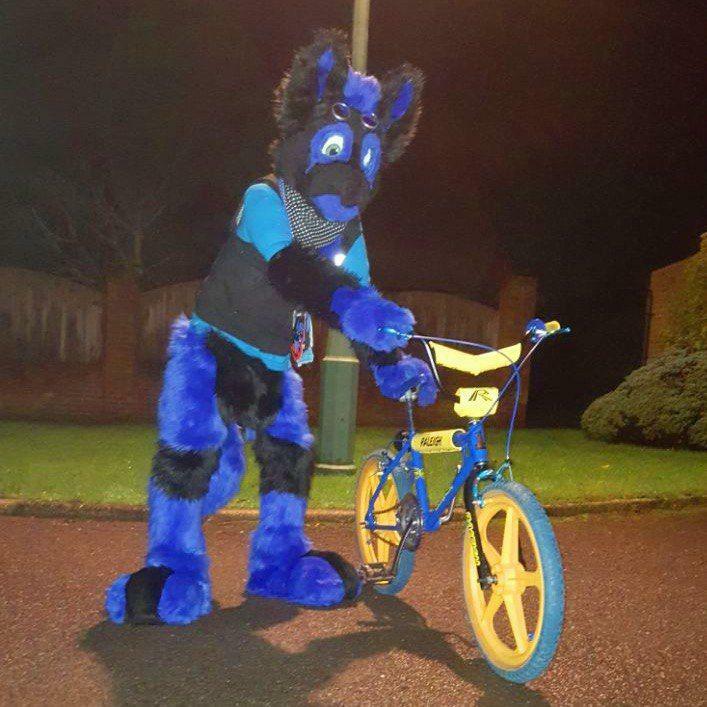 Dexter lists his hobbies as: being a wolf, eating milky bars, drinking J20, listening to electro pop and riding his original 1980s Raleigh Tuff Burner BMX.